“What is the World Mountain?” Slava asked Sensei. “Wow, it’s the mountain for the select ones!” Kostya made his conclusion with admiration. 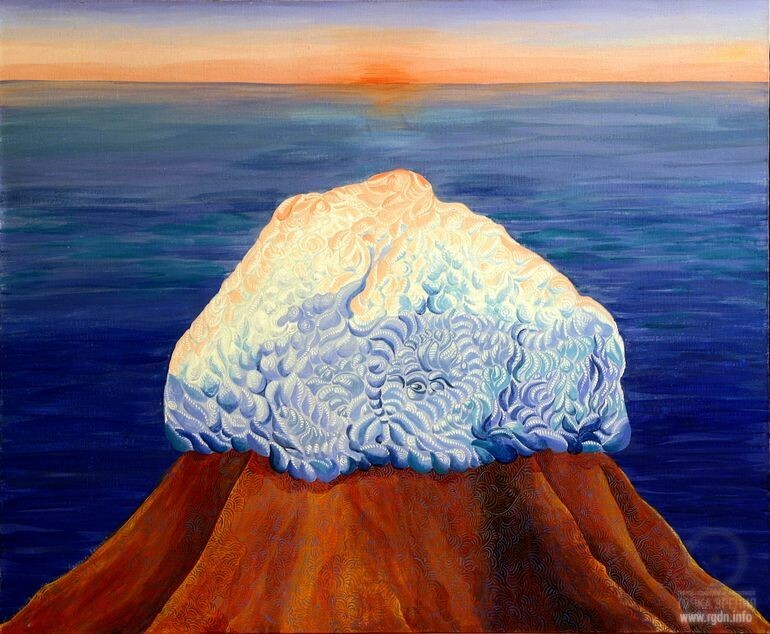 Stas could hardly wait until Sensei replies Kostya’s questions and uttered with impatience, “Does it mean the World Mountain doesn’t look like this mountain?” he motioned to the disappearing heavenly image of the mountain with melting-down snowy hat on its sharp-edged top. 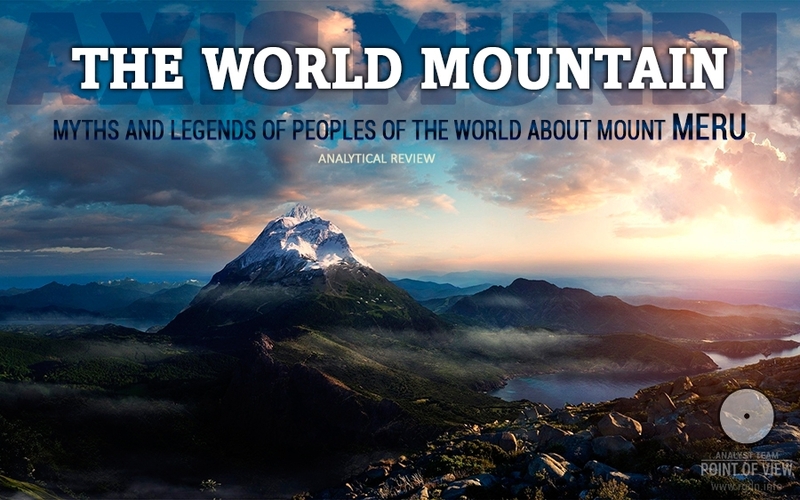 “Does the World Mountain really exist? !” Andrew asked with distrust. Like all of us, he held his breath before that in order to hear Sensei’s answer to Stas better. “Is it associated even with Shambala?” Volodya got surprised. “Sure. 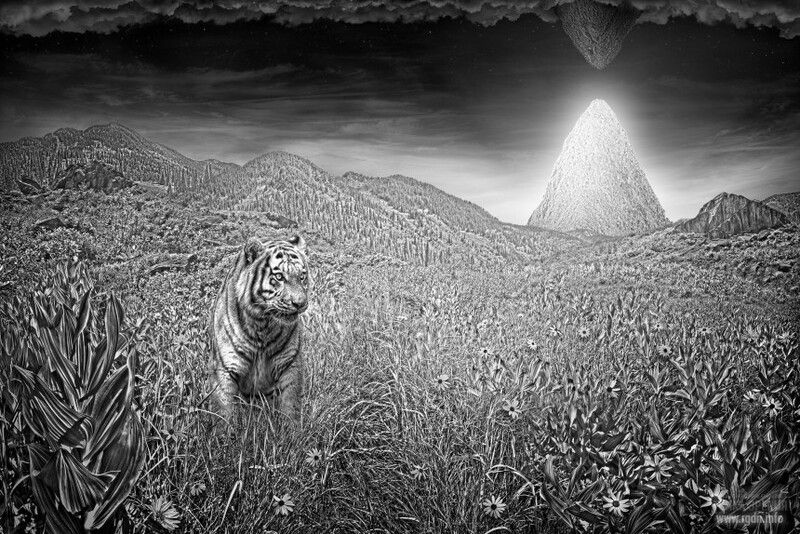 There is plenty of such interweaving of legends about the World Mountain with legends about Shambala. But it is understandable. 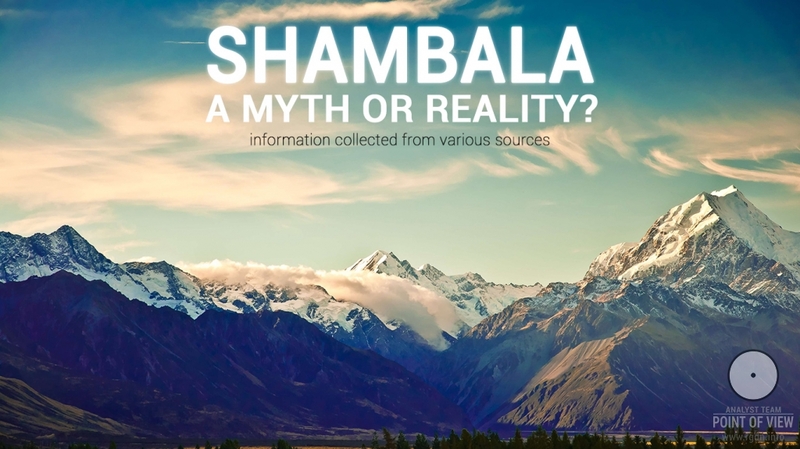 For people who know nothing about Shambala or the cosmic Mount Meru, both located ‘somewhere there’, nobody knows where, all these concepts will certainly merge together in one and the same idea. Though in fact there is a big difference between them. Shambala is located between the real eternal world of God and the temporarily existing material universe. It’s the abode of Bodhisattvas. Whereas the World Mountain is located amidst the worlds of the material universe, and it is a place of visit of wise beings, like our enlightened people or demigods as they were called by ancient people, that is those who reached a high spiritual level. Therefore in ancient legends this mountain was associated with achievement of the genuine human happiness and immortality. … Buddha became able to visit the World Mountain. Owing to Buddha and some of his followers who possessed this knowledge, the information about Mount Meru became known across the Orient. 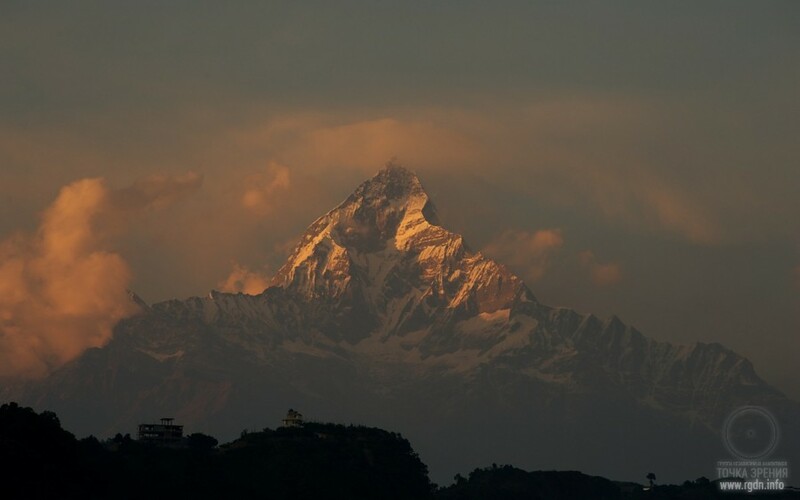 Buddhists, by the way, like Hindu, described this mountain as a pistil of the lotus flower – the sacred flower for both religions, and this image was more associated not with the mountain itself, but with main elements of a dynamic meditation for preparation to visit Meru. Or let us take our Slavonic ‘heathenism’. What is noteworthy about it is that knowledge and practices about the World Mountain were accessible to ordinary people, unlike ’usurpation’ of this knowledge by priests of other peoples. 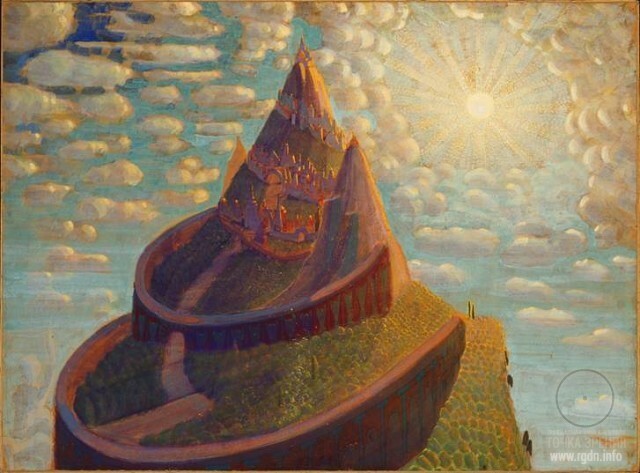 For a long time on Slavonic territories people practiced ancient rituals of magic ‘flights’ to the cosmic mountain, which were held on a sacred hill similar by its shape to outlines of the World Mountain. By the way, in old times people celebrated big holidays not because they wanted to enjoy themselves. From time immemorial holidays were arranged on the days that coincided with certain cosmic cycles, and people started celebrations not in the morning as it is habitual today, but in the evening, at the rise of the first star. In the course of time, when ‘heathenism’ was extirpated by fire and sword among Slavonic peoples and the Christian faith was imposed, they began to persecute servants of ‘heathen cults who were labelled as ‘devil’s offspring’, ’servants of the devil’. At that, ‘pagan’ ancient rituals were labelled as sabbaths and festivals of ‘satanic forces’ hostile to people. Generally speaking, after physical annihilation of most of the magi, the knowledge about the World Mountain was lost, and what remained was distorted to a negative side beyond recognition. Holidays were renamed, although due to such renaming the occurrence of certain cosmic cycles didn’t change of course, and neither did the holiness of relevant places. 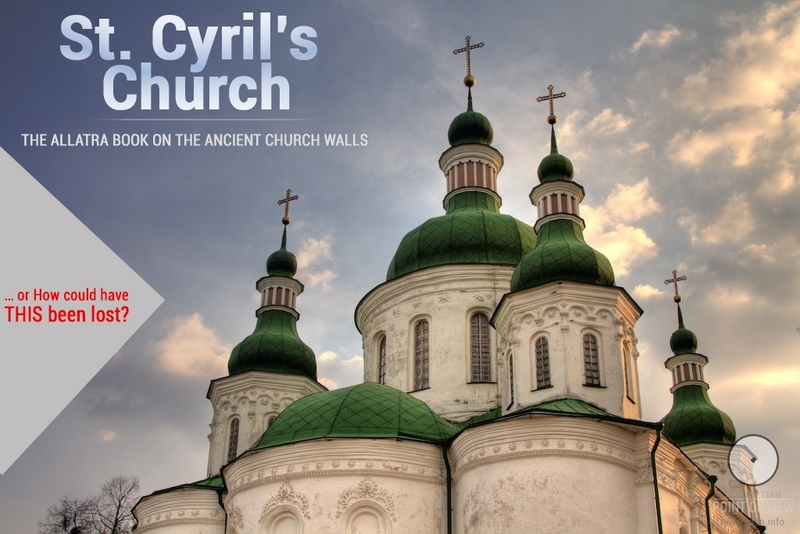 Thus, Christian churches were built on the sites of former heathen temples of chief pagan gods. But, as they say, this is already history. A similar image of the World Mountain in the centre of the universe was known to Altaians, though they called it Altyn-Tu. According to their beliefs, the foundation of this golden cosmic mountain was fastened to the heaven (i.e. its widest part was above and its narrowest part was beneath), and its top hung above the earth at the distance ‘equal to the length of a human shin’. 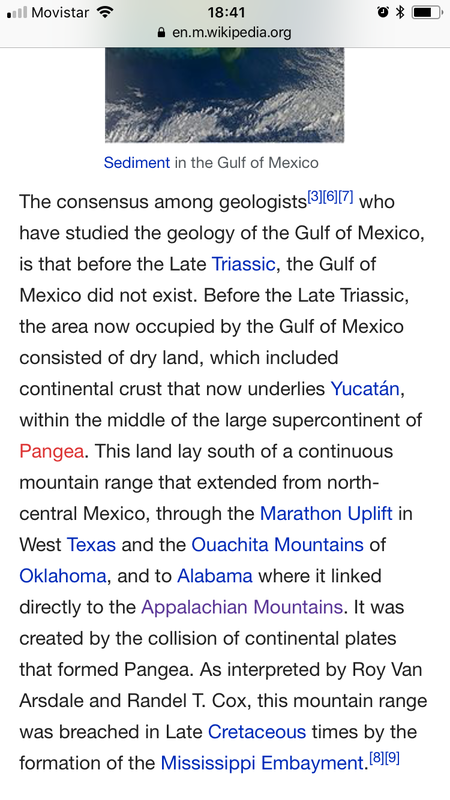 Moreover, they had other widespread names of the World Mountain, e.g. Mount Sumeru, with stars revolving around it. It was also known by Kalmyks and many other peoples in Central Asia. According to myths of the Altai people, there are 33 tengri, or 33 gods on it. The Chinese call the World Mountain Kunlun. According to their beliefs, it is possible to go through it to the highest spheres of the universe. It was considered to be something like ‘paradise’. There is a following record in one of ancient texts, “The one who would go up from Kunlun twice as high will reach the Mountain of Cool Wind and gain immortality; the one who would go up twice as high will reach the Hanging Ground and gain miraculous abilities, having learnt to manage the wind and the rain; the one who would go up twice as high will reach the heaven, the abode of Tai Di – the supreme lords, and will become a spirit.” For unconversant people it’s a nice fairy tale, while for knowledgeable people it is only a hint. By the way, such association of the World Mountain with paradise is mentioned in the Bible as well. There you can find separate evidences pointing out to echoes of knowledge about the World Mountain, e.g. that it is located in the centre of the universe, that God descends to it, that there is kind of a paradise on it, that the mountain is surrounded with rivers that symbolize the primeval ocean. The text also says that only a righteous person with ‘innocent hands and pure heart’ is able to ascend it. It was associated with Mount Zion, and even with Mount Ararat to which Noah’s Ark moored according to the legend. Ideas of the World Mountain, just like of the World Tree, date back to the remote antiquity. These cosmological images are recorded in rock paintings of the Upper Palaeolithic, i.e. have a history of several tens of thousands of years. In any case, we can speak of people’s knowledge of the axis mundi during the Stone Age with certainty. This is exactly how we can interpret numerous images found by archaeologists on Neolithic ceramics and widespread from Western Asia through China. Having appeared on ceramics in the period preceding the emergence of the first great civilizations, the motif of the universe pillar preserved its popularity in visual arts in subsequent periods as well. Thus, for instance, Scythians believed Mount Meru was in the north, in the region of darkness and snow, “where stars, the Moon and the Sun revolve”. A common plot of many myths and legends was description of the magic abode behind the sacred mountains – the so-called “land of blissful”, situated on the northern slope of Mount Meru, on the shore of the Milky Ocean (Sea) – the Arctic Ocean. Altai Tatars imagine Bay Ulgen sitting amidst the Heaven on a golden mountain. Abakan Tatars call it the Iron Mountain; Mongols, Buryats and Kalmyks know it as Sumbur, Sumur or Sumeru. In Central Asian traditions and for many Altai peoples, the World Mountain, based on the image of Mount Meru (Sumeru, Sumur, Sumbur, etc. ), is often represented as an iron pillar (the Iron Mountain) located in the middle of the earthly disc and joining heaven and earth, with its top touching the Pole Star. Sometimes the Mountain (Sumbur) stands on a navel of a turtle turned to its side, on each leg of which a particular continent is located. According to other versions, the Pole Star itself is the edge of God’s palace built on top of the Mountain. 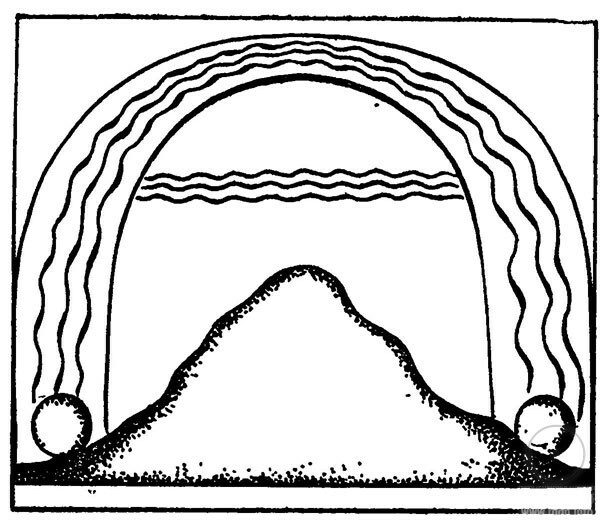 Kalmyks believe that stars revolve around Mount Sumeru. According to myths of some Altai peoples, 33 tengri live on top of the Mountain. There is a myth saying that Sumeru is three times surrounded by the enormous serpent Losun. Mongols and Kalmyks believe the World Mountain has three or four tiers; for Siberian Tatars the Mountain has seven tiers. In their mystic journeys Yakut shamans also ascend a seven-tier mountain. Its top rests against the Pole Star – “the navel of the heaven”. Buryats say the Pole Star is attached to the Mountain top. The most classical World Mountain is the great Mount Meru in Hindu mythology and cosmography. It is situated in the centre of the earth under the Pole Star and surrounded by the world ocean. On its three tops – golden, silver and iron – there reside Brahma, Vishnu and Shiva, or (according to other versions) 33 deities making up the pantheon; underneath the mountain there is the Asur Kingdom. A huge tree stands on each of the four mountains that surround Meru (including Ashvattha and Pippala which represent the World Tree), indicating a corresponding cardinal direction. In Buddhist texts, in addition to Mount Meru there is Himavat (“the King of Mountains”) serving as a pillow for Tathāgata. On the northern side, the mighty Meru stands, shining in its great glory; Brahma’s abode is on it, where the soul of all beings resides, Prajapati that created everything movable and immovable… The great Meru, the chaste, good abode… Here (over the mountain) seven divine Rishis with Vasishtha (constellation of the Bid Dipper) at their head set and rise again. All heavenly bodies revolve around Meru. The polar star hangs on it motionlessly, while Cassiopeia and Bootes circle around it together with the Bid Dipper. Here, the day lasts for six months and the night lasts for six months, one night and one day being equal to a year. To the north of the Milky Ocean there is a big island known as Shveta Dvila (“the Radiant White Island”). This land is described as “the land of everlasting happiness”, “the tribe knows neither diseases nor age weakness”, “flocks of antelopes and birds are everywhere”, “having gone there, one does not return to his world again”. It’s “the Land of the Select”, “the Land of Saints”, “the Land of Blissful”. … and started beating the water to obtain Amrita. 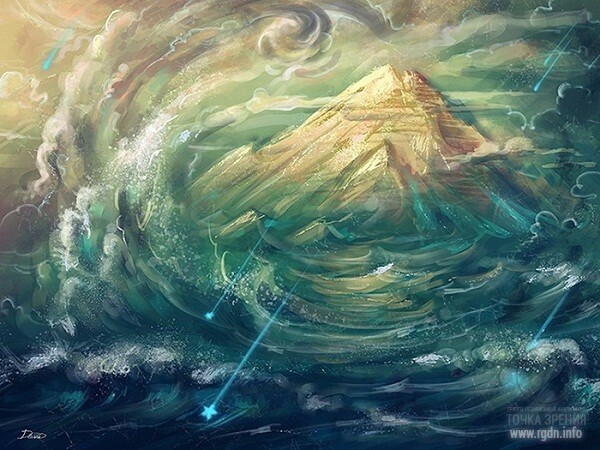 When devas and suras churned the ocean with Mandara, the great noise began, similar to rumble of monstrous clouds. Various water inhabitants, crushed by the great mountain, found their death in the salt water. Diverse creatures of the world of Varuna, as well as inhabitants of lower regions of the world, were destroyed by the mountain, the pillar of the earth. While it was rotating, mighty trees populated by birds collided and fell from the mountain top. The fire that emerged from their friction, blazing with lightning every minute as if a blue cloud, wrapped Mount Mandara round. It burned elephants and lions that turned out to be there. All other diverse beings lost their life, too. Then Indra, the best of the immortal, extinguished that burning fire with water begotten from the clouds. Thereafter variegated secretions of mighty trees and numerous herb juices flew into the ocean waters. Devas achieved immortality exactly from drinking of those juices endowed with an immortal power, as well as from the flow of gold. A way to Amaravati – the royal city of Indgra – runs through its top. 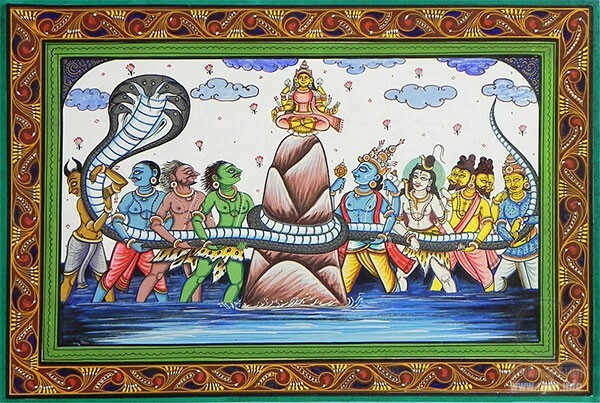 Serpent Vasuki encircles Meru. Mount Mandara, used by devas and suras for churning of the Milky Ocean, is an obvious “synonym” of the World Mountain – Mount Meru. The resemblance between the mountains is clearly seen in description given in the Mahabharata. all over with intertwining herbs. and beasts of prey roam about. The gods, the Apsaras and the Kinnaras visit the place. and descends downwards as much. and looking like a heap of effulgence. that mountain is the haunt of the gods and the Gandharvas. by men of manifold sins. and it is illuminated by many divine life-giving herbs. and is the first of mountains. Ordinary people cannot even think of ascending it. According to one of myths, Shiva used Mandara as an axle for his chariot and an arc for his bow. As for Mount Meru, it is considered to be the centre of the earth and the universe; its top rises 84,000 leagues above the ground. The sun, the moon, planets and stars revolve round Meru. The heavenly river Ganga flows from the heaven first to this mountain, and only thereafter it flows to the world of people. On top of Mount Meru the city of Brahma is located, stretching for 14,000 leagues. Cities of Indra and other gods are situated nearby. The Bhagavata Purana describes one of the versions of emergence of river Ganga and explains how Ganga gets to various planets from the highest point of the universe. Once, when Maharaja Bali performed yajna, Vishnu came to him as Vamana and asked three steps of the earth from him. His request was satisfied: in two steps Vamana crossed all three planetary systems (lokas) and pierced a hole in the universe shell with the big toe of his left foot. Several drops of water from the Primordial Ocean leaked through the hole in the shell, fell on Shiva’s head and remained there for thousand yugas. These drops of water were the sacred river Ganga. It is described that it first runs to Dhruvaloka (the Pole Star) and purifies it, then it washes planets of the seven great Rishis (Marichi, Vasishtha, Atri and others) who reside on the planets located under Dhruvaloka, and then billions of heavenly spaceships carry its waters along the ways of devas – first to the Moon (Chandraloka) and finally to the abode of Brahma, which is situated on top of Mount Meru. Here is divides into four branches – Sita, Alakananda, Chakshu and Bhadra – which flow down from Meru slopes and reach middle-level planets, one of which is the Earth. From the Himalayan peaks the river branches run down, flow through Haridvar across India plains, cleaning everything on their way. 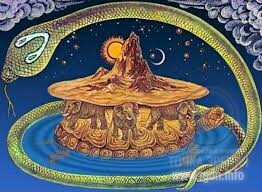 The foundation of Mount Meru rests upon the klobuk of the world serpent Shesha lying on the back of a giant turtle that swims in primordial waters. Under another version of the myth, Meru (and the earth as a whole) is supported by four elephants. In the same way gods in a Kalmyk myth used Sumer as a stick to “beat up” the Ocean and thus create the Sun, the Moon, and the stars. Another Central Asian myth reflects penetration of Hindu elements into the myth: having assumed the appearance of eagle Garida (Garuda), god Ochirvani (Indra) attacked serpent Losun in the primordial Ocean; he wound the serpent round Mount Sumer three times and broke his head. An idea was spread across Eastern and Central Asia that the main and most important pillar of the world is the mythical Mount Meru located in an inaccessible place (it was usually placed in the Himalayas). The source of such ideas was myths of Ancient India, later on adopted by Buddhism that made them very popular. Mount Meru was not only considered the centre of cosmos, but was regarded as the sacred abode of gods. In numerous legends and tales Meru was described via the brightest epithets and definitions: it was called golden, shining, brilliant, and was associated with happiness, abundance and immortality. Myths draw this mountain in different ways. Buddhists often depicted it as a colossal cylinder directed to the superior height. Sometimes it was described as the pistil of lotus – the sacred flower. Likening of the cosmic mountain to a plant, i.e. basically to the World Tree, is quite interesting. An unusual feature is that the foundation and the top as if swap places, thus an impression arises that the mountain grows from the heaven. It is of gold and shines like fire with no tinge of darkening smoke. Its four sides are of four different colours. The colour of the eastern side is white like the colour of brahmans; the colour of the northern side is red like the colour of kshatriyas, the colour of the southern side is yellow like the colour of vaishyas; the colour of the western side is black like the colour of shudras. Its height is 86,000 yojanas, of which 16,000 are inside the earth. Every edge of the four sides makes up 34,000 yojanas. On the mountain, there are rivers with fresh water and marvellous golden dwellings where diverse spiritual beings reside: devas together with gandharva singers and their mistresses apsaras, as well as asurs, daytias and rakshasas. Manasa reservoir is around the mountain, and on four sides of the reservoir lokapalas live – the keepers of the world and its inhabitants. Mount Meru has seven nodes, i.e. big mountains called Mahendra, Malaya, Sahya, Shuktibam, Pikshabam, Vindhya, Pariyatra, and there are so many small mountains that it’s almost impossible to count them; these are the mountains on which people live. As for the big mountains around Meru, they include: Himavat covered with eternal snows and populated by rakshasas, pishachis and yakshi; Hemakuta made of gold, on which gandharvas reside. The internal shell of the world egg endowed with great Atman was Mount Meru, while mountains were its external shell; the amniotic fluid is formed of the oceans. In this egg, oh brahman, there were mountains, continents, oceans, planets, worlds, devas, asurs, and people. On its outer side the egg is covered with water, fire, air, space, and the source of primary elements, the primary elements endowed with ten qualities and the great principle of creation. Such scheme of the world egg structure is common for Purana texts, epos and the Upanishads. However, the quantity and names of different worlds vary. In Buddhist cosmology the earth is deemed to be plane with Mount Meru (or Sumeru) in its centre. On Buddhist mandalas it is also depicted in the centre, surrounded by four big dvipas (islands) with eight small dvipas behind them. 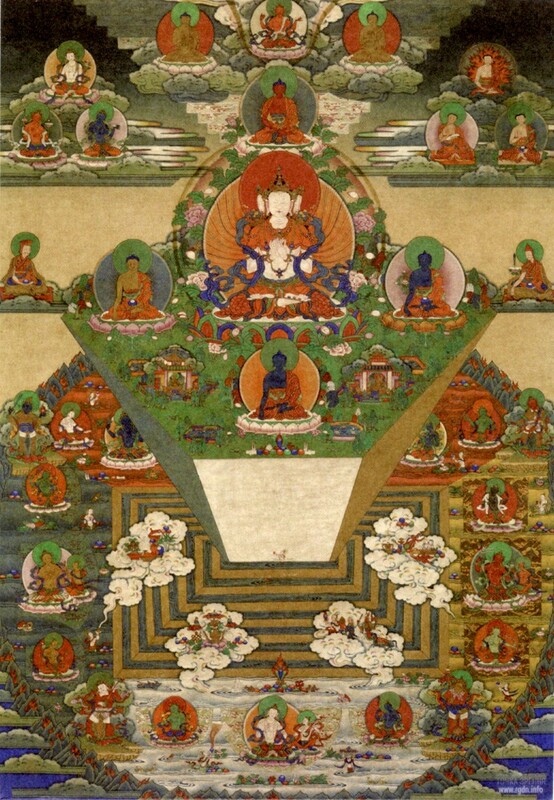 Mount Sumeru, according to Buddhist cosmology, consists of four jewels, namely: its entire eastern side consists of silver, the southern side of lazurite, the western side of ruby, and the northern side of gold. For this reason, on the four sides of the eminence made on the mandala and intended to depict Mount Sumeru, lamas insert separate pieces of silver, lunar caustic, lazurite, ruby and gold. 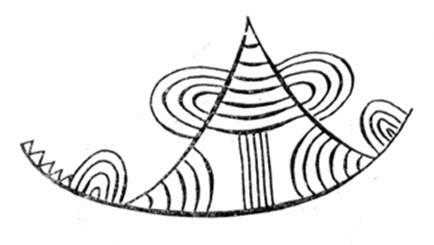 A similar image was known to Altaians who believed that the golden cosmic mountain Altyn-Tu was attached to the heaven and hung over the earth, not reaching the earth by a minimal distance of the length of a human shin. However, most traditionally Meru was depicted as a round or tetrahedral mountain gradually narrowing towards its top. 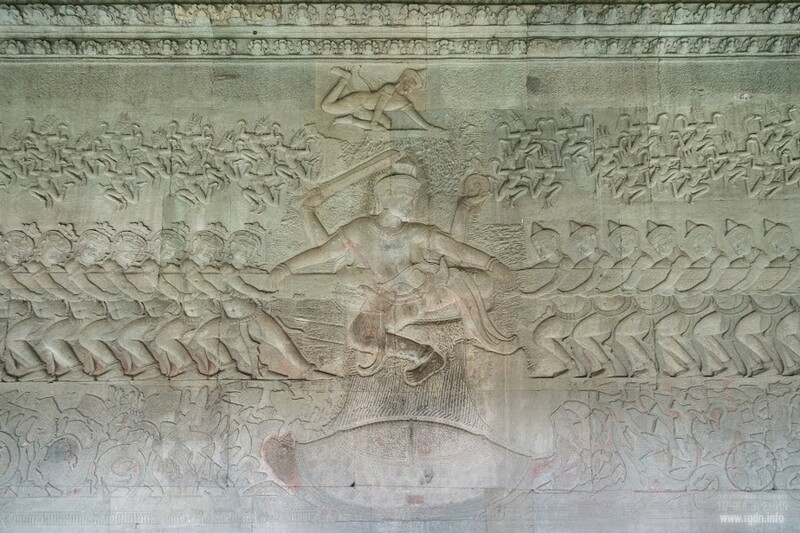 In such form is was depicted on various Buddhist works of art. It is no mere chance that the four facets were associated with a mythical pillar of the universe. One world river nourishing the universe with its waters was flowing down on each side of the mountain. This detail indicates another aspect of the cosmic symbolism of Meru: the meaning of its four rivers is equivalent to the four oceans, which surround the world according to Hindu myths. Thus, Meru itself is a reduced model of cosmos, by which cosmos was exactly structured by gods. In lamaist mythology Mount Meru (Sumeru) has a pyramidal shape and is surrounded with seven mountain ranges with seas between them. Each side of the pyramid has colour characteristics: the southern side is blue, the western is red, the northern is yellow, and the eastern is white. Same equivalents are known in India, Tibet, China, and even in traditions of some American Indian tribes. Thus, Navajo Indians believed that black (or northern) mountains covered the earth with darkness, blue (or southern) mountains brought the dawn, white (or eastern) mountains brought the day, whereas yellow (or western) mountains brought the shining sunlight. The names of Babylonian temples and towers evidence identification of such structures with the World Mountain: “the Mountain of Home”, “the House of the Mountain of All Lands”, “the Mountain of Storms”, “the Junction of Heaven and Earth”, etc. 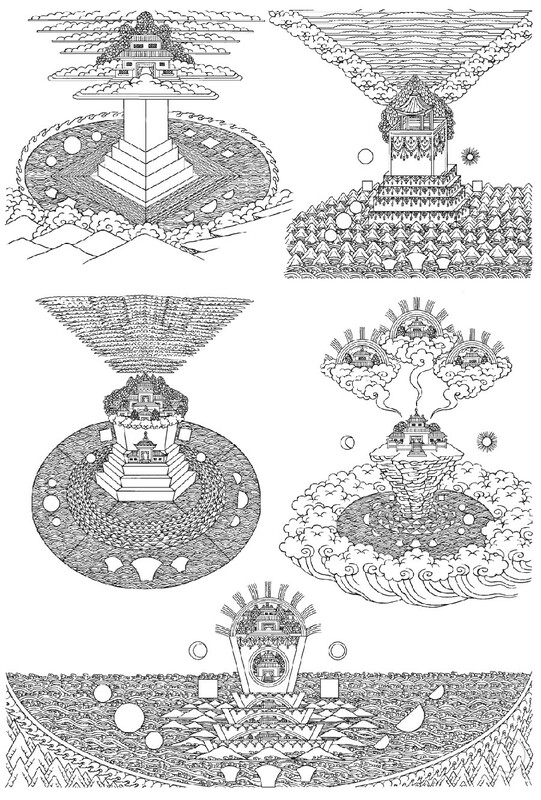 Ziggurat – the cult tower in Babylon – was basically the World Mountain, a symbolic representation of Cosmos: its seven floors corresponded to the seven planetary heavens (as in Borsippa) or were painted in world colours (as in Ur). 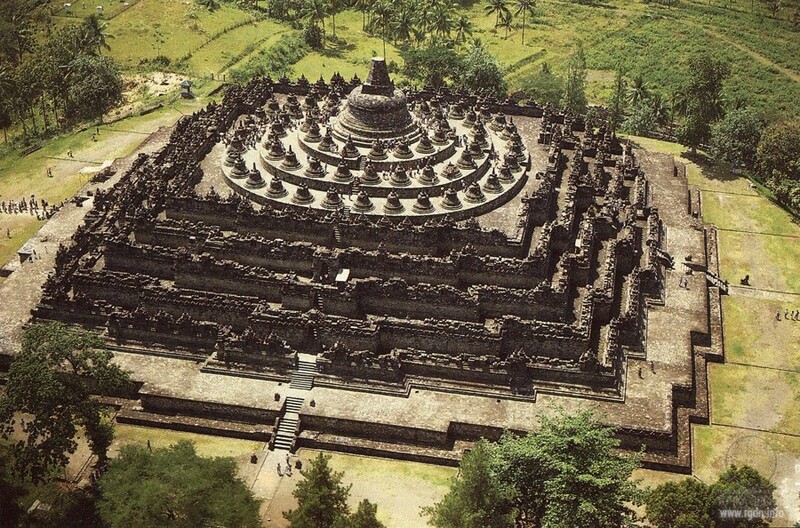 Borobudur Temple, the true imago mundi (image of the world), was built in a shape of a mountain. Biblical texts give a ground to state that paradise is also located on a mountain. According to the Book of Genesis, the garden of Eden was “in the east”, but Ezekiel (Chapter 28, Verse 13) specified it was on a mountain. To all appearances, paradise is identified with the sacred “Lord’s mountain” mentioned in psalm (23, p. 3-5) with a note that only a righteous person with “innocent hands and pure heart” may ascend it. The biblical reference to the heavenly river washing the entire earth with its four streams is also quite interesting (Genesis, Chapter 2, Verse 10). 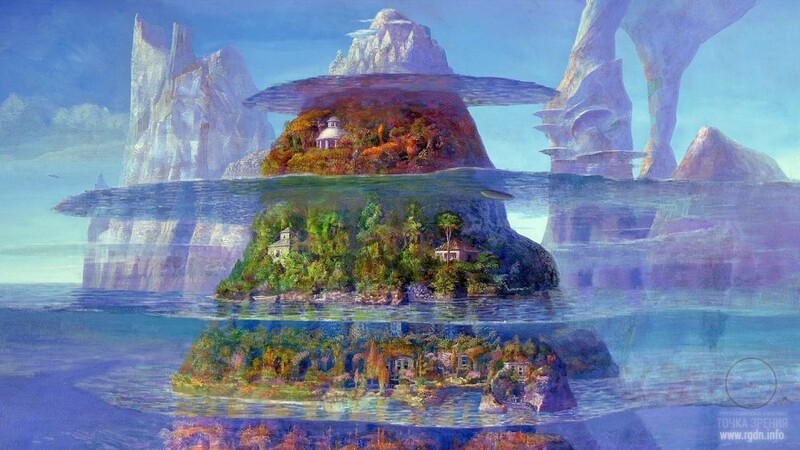 Having collected separate evidence from the Bible, we will get a complete set of features of the mythic World Mountain: it is situated in the centre of the universe, God descends onto it, the heavenly garden is located there with a marvellous tree in the middle, whereas the mountain itself is surrounded by rivers which symbolize the primordial ocean. A well-known biblical myth says that during the Flood only Mount Ararat to which Noah’s ark moored was not submerged. At that, in other biblical legends Mount Zion is mentioned, which once again emphasizes its particular cosmic role as of the centre of the world, “the navel of the earth”, the highest point of the universe. Even a more graphic demonstration of this is the Muslim world outlook. According to Islamic mythology, the earth was initially very unstable, permanently shuddered and addressed complaints to Allah. Taking pity on it, Allah created the enormous Mount Qaf that encircled the populated world and firmly supported the universe. Behind this stone ring, the Creator created another earth, seven times larger in size. That earth is populated by angels so densely that even a needle cannot fall down between them. Angels incessantly glorify Allah and pray over human sins. If we omit details and single out the gist, it will turn out that the world populated by people is situated inside the cosmic mountain, i.e. the mountain itself is exactly the universe. According to the Indian mythology, the Universe is a giant global snake biting its tail and wrapping the universe in a ring. Inside the ring it was carrying a giant turtle, on whose back there were four elephants supporting the world. In the centre of the world was the inhabited land Jambudvipa, the shape of which reminded of a blossoming lotus flower with Mount Meru in the middle. 6) the turtle resting on the serpent Ananta is an embodiment of the ancient Indian guardian god Vishnu (the universal reviving principle). In Altai mythology influenced by Buddhism, the World Mountain name was somewhat altered and sounds as Sumeru. By this very name the mountain is known to other peoples of Central Asia, too. In Altai legends, Buddhist ideas have fancifully mixed with ancient local beliefs. It is exactly the World Mountain which a future shaman ascends during initiation and visits later on in his astral journeys. Ascent of a mountain always signifies a journey to the World Centre. As we have seen, such “centre” is one way or another present even in the structure of a human dwelling, but only shamans and heroes can ascend the World Mountain. Moreover, only a shaman, climbing up a ritual tree, actually climbs up the World Tree, thus reaching the peak of the universe, the highest Heaven. Besides Meru (Sumeru) and Altyn-Tu, the Altaians placed a mythic mountain Ak-Toshon Altai-syny in the centre of the universe. On its top there is a milky lake in which shaman souls bathe on their way to the heavenly world. The same milky lake in the heaven is described by the Hungarian narrator of fairy tales Lajos Ami (with angels, not shamans, bathing in it). This is no mere coincidence. 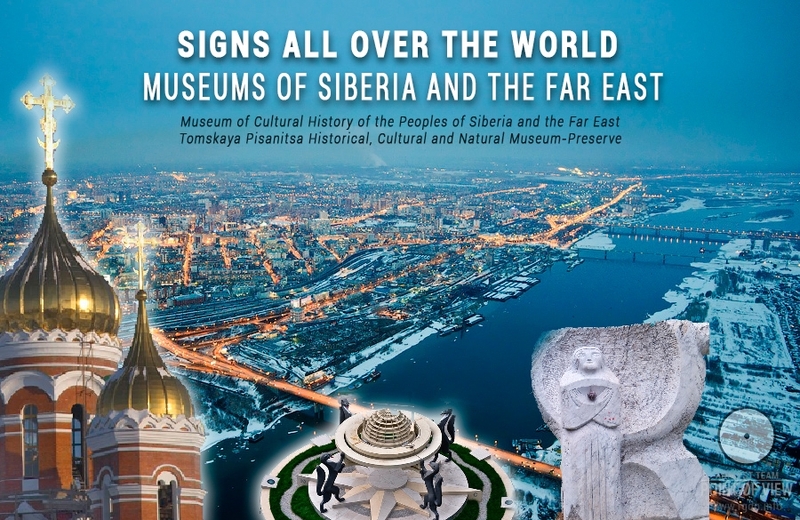 Once, before migrating to Europe, forefathers of Hungarians inhabited the territory of the contemporary Trans-Urals and maintained close contacts with South Siberian tribes. Yet, let us go back to Altai legends. A wonderful poplar rises from the milky lake, and shamans use it to get into the kingdom of heavenly spirits, while the mountain itself represents the first station on the way to heaven. Here a strong shaman takes a respite, whereas a weak one does not even dare to move further and returns. 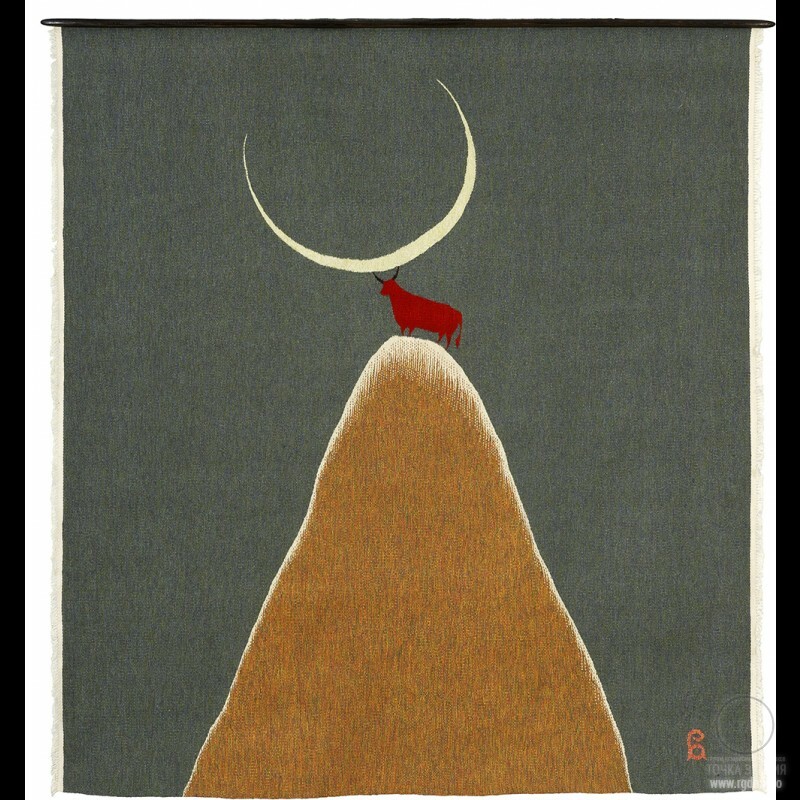 On the flat top of the sacred mountain the main spirit of the earth resides, as well as many other spirits being in charge of the souls of livestock and wild animals. The spirits are light-minded and enjoy gambling. It often happens so that one of them loses all animal souls that belong to him to another spirit at cards or dice. In such case the livestock on earth dies, and wild animals move to another locality. Concerned people send a shaman who ascends the cosmic mountain and ascertains which spirit is currently the winner, in order to gain his favour with sacrifices. The ancient Chinese also worshipped mountains, real and mythical. They regarded any elevation as a holy site, because they believed the light power Yang was concentrated there, whereas bottom lands and depressions were the region of the dark principle Yin. In ancient times in China there was a cult of the five sacred mountains located in the south, west, north, east, and in the centre. Mount Tai Shan (literally “the Great Mountain”), which really existed and was located in the east of the country, was particularly revered. It was believed to patronize the imperial dynasty, and the Sons of Heaven offered sacrifices to it. Just like in the case of Mount Meru of India, the numerical symbolism of Chinese World Mountains has its deep meaning: the five points of space by which they were placed were the most sacred and determined the structure of mythological cosmos. At that, the Chinese revered Mount Kunlun – the centre of the earth – the most. 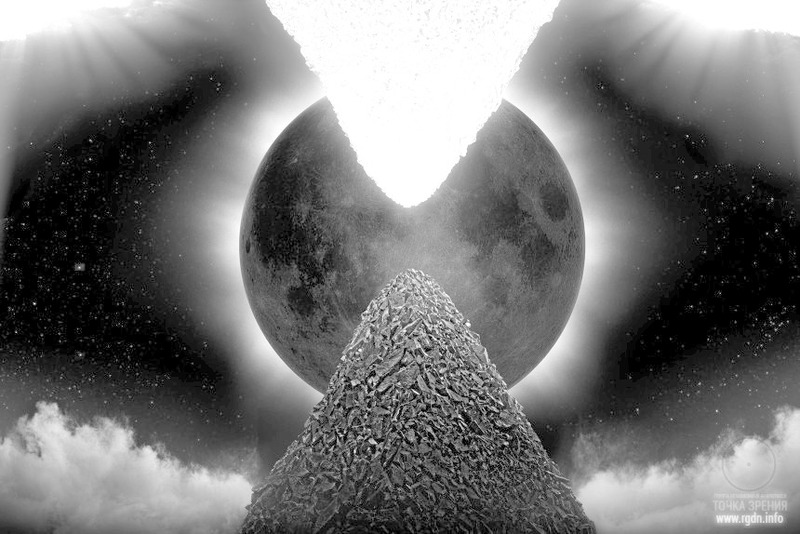 They believed one could get into the higher realms of the world by ascending it. 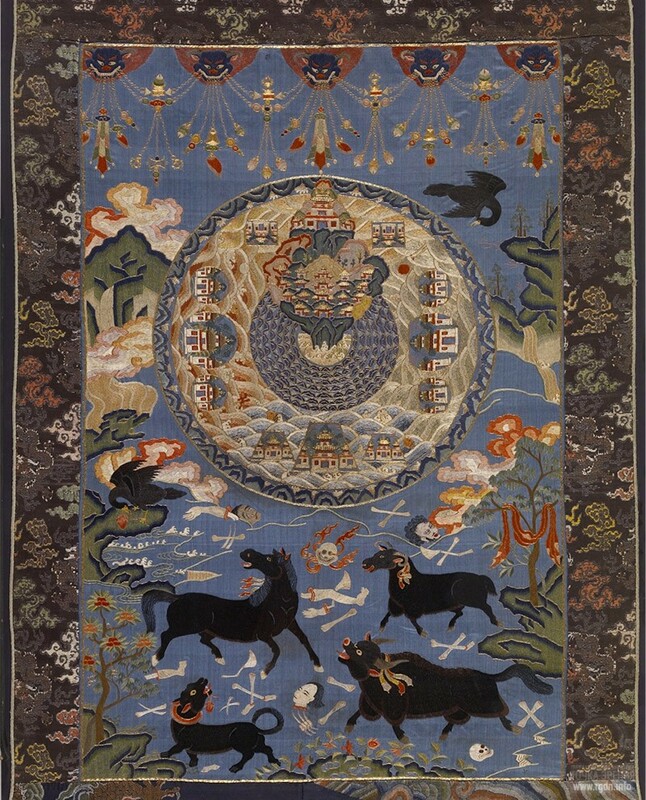 One of ancient texts say: “The one who would go up from Kunlun twice as high will reach the Mountain of Cool Wind and gain immortality; the one who would go up twice as high will reach the Hanging Ground and gain miraculous abilities, having learnt to manage the wind and the rain; the one who would go up twice as high will reach the heaven, the abode of Tai Di – the supreme lords, and will become a spirit.” This is a true description of a shaman journey to the other world! By the way, shamanism existed in Ancient China, too. It is evidenced by frequent mentions of sacred mountains and trees via which priests and gods of Ancient China ascended to the heaven and descended to the earth. Mount Kunlun itself was regarded as something like an earthly paradise: rivers of five different colours flew down from it (including the largest Chinese river Huang He), and diverse cereals drew there in abundance. The Chinese mountain worship tradition and an attempt to unite mountains into a classification system are reflected in the Classic of Mountains and Seas (Shan Hai Ching). 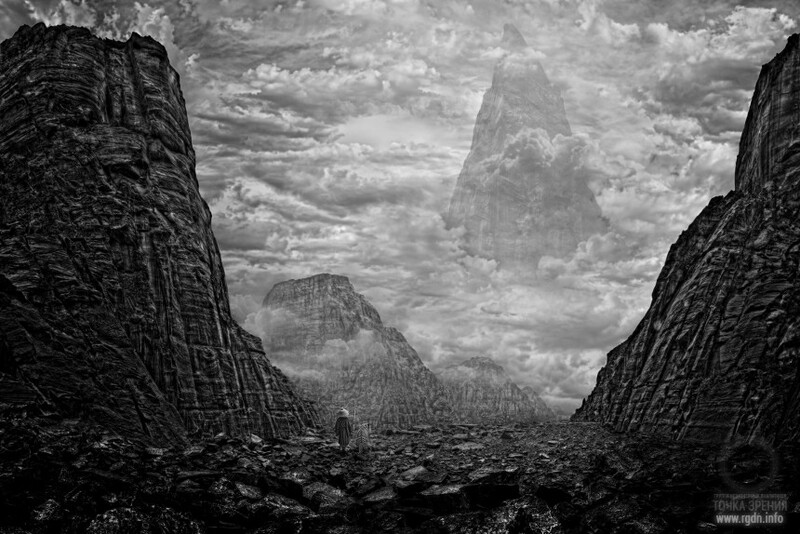 The appearance and location of mountains was associated with activities of a mythical subjugator of the flood and manager of the earth – the great Yul who was not only cleaving and moving mountains to eliminate consequences of the flood, but also gave names to three hundred mountains. In ancient Greek myths gods lived on Mount Olympus where Zeus the thunderer resided, Mount Etna (Zeus put this mountain on Typhon; Hephaestus’s smithy was on it, and Demeter was looking for Persephone with the fire obtained on Etna), Mount Ida where Zeus was hiding from Cronus, and the Caucasus where Prometheus was chained. One of the founders of the “Arctic theory of the origin of Aryans” was the famous Indian politician Bal Gangadhar Tilak (1856-1920). 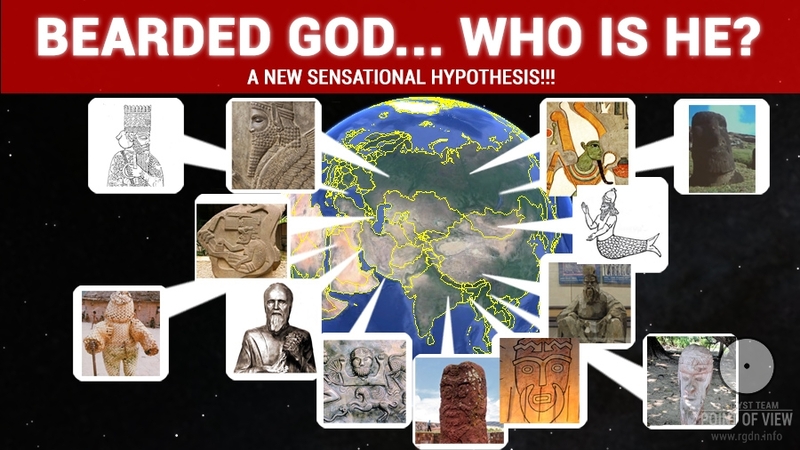 He is the author of a hypothesis that the ancestral home of Indo-Europeans (or Aryans) was northern regions of Eurasia (Kola Peninsula, Karelia, the White Sea coast, and Taimyr). The meaning of the word Arctic: Greek ἄρκτος – “female bear”, ἀρκτικός – “being under the constellation of the Great Bear”, “northern”. In Tayttiria Brahman (III, 9, 22.1) and Avesta (Vendidad, Fargard II) a year is compared to one day, whereas the sun sets and rises only once a year. Numerous hymns of Rigveda are dedicated to the goddess of the morning sun Ushas. Moreover, it is mentioned that dawn lasts very long and there are very many stars moving along the horizon, which may be indicative of circumpolar regions. A weakness of such hypothesis is the impossibility to link it with any archaeological culture. In the Divine Avesta there is a description of not a separate peak, but a whole mountain range Hara Berezaiti (perhaps, these are the Urals), although Avesta provides us with another supporting element mentioned neither in the Vedas nor in the Puranas: this mountain range is stretched in latitudinal direction “from the sunset to the sunrise”, i.e. from the west to the east. Which flow on the earth. Slavs regard a mountain (а hill, a mound, etc.) 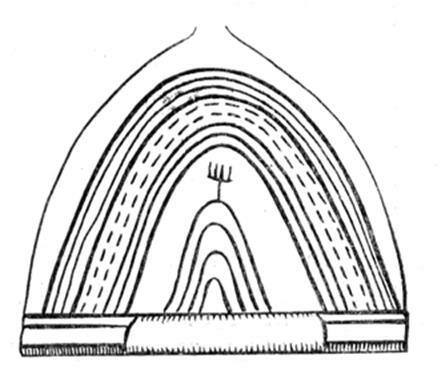 as a vertical line binding the top and the bottom, which determines the duality of ideas of the mountain, on the one hand, as of a pure locus and, on the other hand, as of a demonic locus. The link between the mountain and the heaven is reflected in Slavic vocabulary (in Slavic gora mans “a top”, and gorniy means “heavenly”) and in the ritual practice. Russian chronicles tell that Slavs worshipped heathen deities on mountains. Spring rituals were performed on mountains (the Russan gorka – “gathering of youth in spring and in summer for the round dance”). In Russian charms a mountain, on the one hand, is a place where God, Christ and Our Lady reside, and on the other hand it is a place associated with evil spirits. A mountain is associated with the other world. In Russian “to leave for a mountain” means “to die”; the kingdom of the dead is a land with golden moutains; paradise is located on an iron mountain or behind mountains. Collections of Russian bylinas (heroic epics) usually start with Sviatogor, which is a solely archaic character. The image is based on Slavic heathen beliefs, therefore it is very difficult to interpret it for traditional researchers who thoughtlessly date the time described in bylinas to the 10th century only because Prince Vladimir is mentioned there. Sviatogor is particularly notable, since in none of extant bylinas he fights with any other epical hero – he simply has no adequate rivals among mortals. For instance, Sviatogor can easily put Ilya of Murom together with his horse into his pocket, and he measures his strength with Mother Earth itself or starts building a stone pole up to the heaven. In Greek mythology there is Sviatogor’s analogue – giant Atlant. He also performs a function of maintaining the world order – holds the firmament on his shoulders. The earth cannot endure its mass, so he stands on the Atlas Mountains. Those mountains are located at the end of the earth, on the coast of the outer ocean. In front of the mountains, boundless sunburnt deserts stretch for many days of journey (just like those in front of Meru and the Riphean Mountains!). The only treasure of the heaven-holder is a marvellous garden where a tree with golden apples grows – Heracles had to commit his eleventh feat in order to get the apples. Furthermore, both giants ended their lives in the same way – they petrified. The Pigeon Book refers to the Alatyr Stone, “the father of all stones”. It is a sacred rock crowning the top of the Alatyr Mountain and covering the entrance to the underworld, while Sviatogor guards this entrance. According to Slavic genealogy, Maya of the Golden Mountain was the daughter of Sviatogor and the first wife of Dajdbog whose son she gave birth to – the god of the calendar cycle Kolyada (the word calendar in Slavic means “the gift of Kolyada”, while kolyadki means “festive carols” that nowadays are usually performed on the Christmas Eve). Maya of the Golden Mountain herself was the goddess of summer and was depicted with golden braids that symbolized ripe ears. Many books can be written about the World Mountain, and the fact that it is known in all cultures and on all the continents represents another evidence that the spiritual knowledge is, first and foremost, single, and secondly it has been given to humanity from the earliest times. However, today for someone it’s a nice fairy tale, while for knowledgeable people it is a hint!